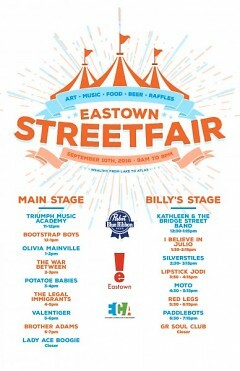 The Eastown Streetfair will be held on Saturday, September 10, 2016 from 9 a.m. - 8 p.m. on Wealthy Street. With school starting this week or next for families, it can feel like summer is officially coming to a close. 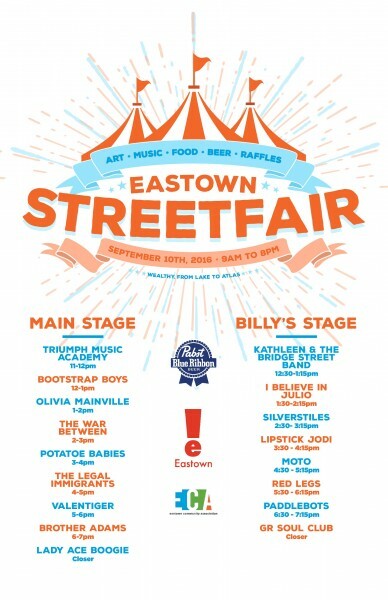 Knowing that, the Eastown Community Association and the Eastown Business Association have joined together to once again throw the best celebration in town, Eastown’s Streetfair. 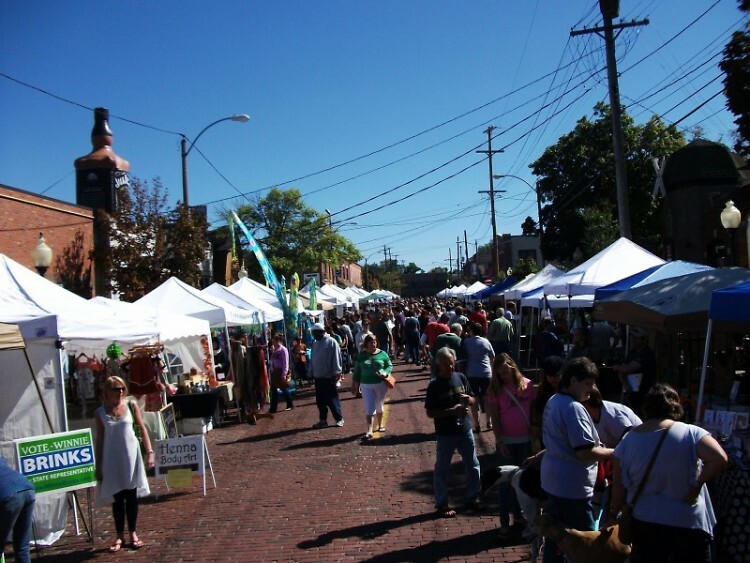 On Saturday, September 10, from 9 a.m. until 8 p.m., the city will be coming out to Wealthy Street, in the Eastown Business District, to check out more than 140 art vendors and nonprofits. There will be henna artists, painters, printmakers, jewelry designers, and unique gifts of all kinds. And when attendees get a little hungry or parched, the HubLot between Wealthy and Lake Drive will house ten different food vendors as well as beer from Pabst Brewing, and the main stage for the huge lineup of entertaining bands. The day will start with local musicians from Triumph Music Academy and close out with a performance from Lady Ace Boogie. Eastown artist Joe Parsaca will also be on hand to host the second annual chalk battle, open to any and all budding chalk artists. Entrants have the chance to win some really excellent prizes from community donors. There will also be a dollar raffle at the ECA/EBA booth for a chance to win a basket for goodies from the artists at the event. WYCE 88.1 FM will host its ninth annual Record and CD Sale at the Streetfair. More more information, visit this link. This event is a celebration of the artistic spirit and the warm and open community of Eastown, and the ECA and EBA are looking forward to opening up the street to the whole city and state. Follow the Streetfair's Facebook page to get more updates as the event draws closer.